I stumbled across Jorey Hurley on Pinterest while looking for nail art inspiration. I love taking inspiration from art prints and Jorey had tons of gorgeous prints to choose from. 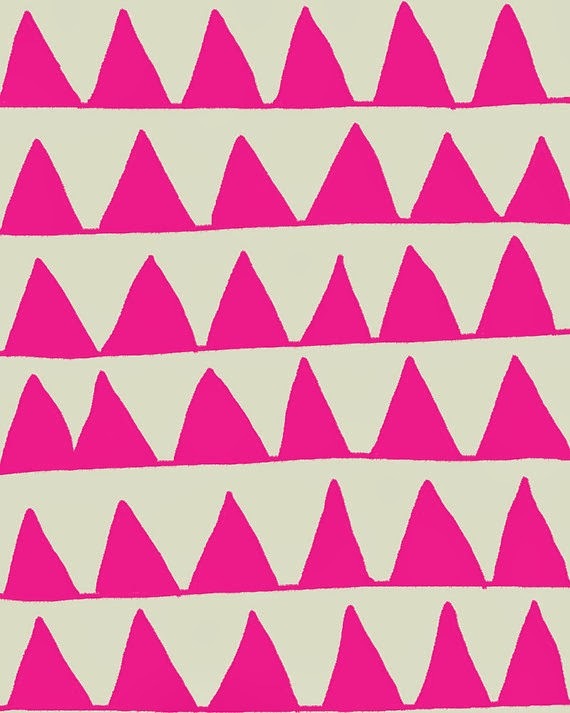 My favourite, probably due to its semi-geometric design, was Pink Triangles. The pattern was perfect for nail art - simple, repetitive and pretty! I used Models Own Utopia as a base as it's pale dusty pink colour was just right for the design. 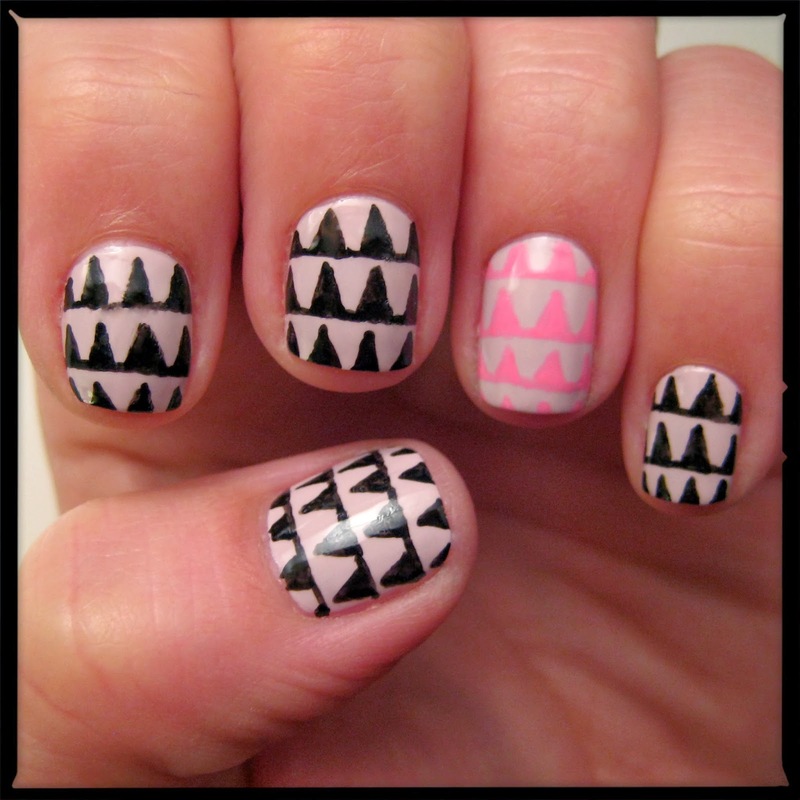 Instead of pink triangles on every finger I chose them just as an accent, with black triangles on the rest. The triangle design was so quick to draw on with Barry M nail art pens. Although, judging by the photo I need a new black one, sorry it's so splodgy! This design would work in any colour, and will be a great one for summer and festivals, perhaps even mixed with some aztec? The triangles remind me of little birds perched on electricity lines! I find it funny how the shade of Utopia seems to change on the pink nail, as the colour contrasts differently. The human eye works in strange ways! In reality the ring finger looked like it had a completely different polish as a base colour.